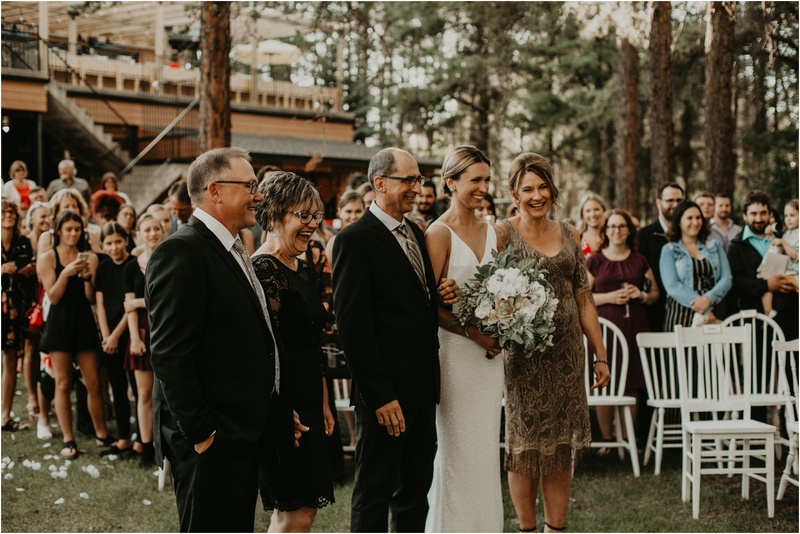 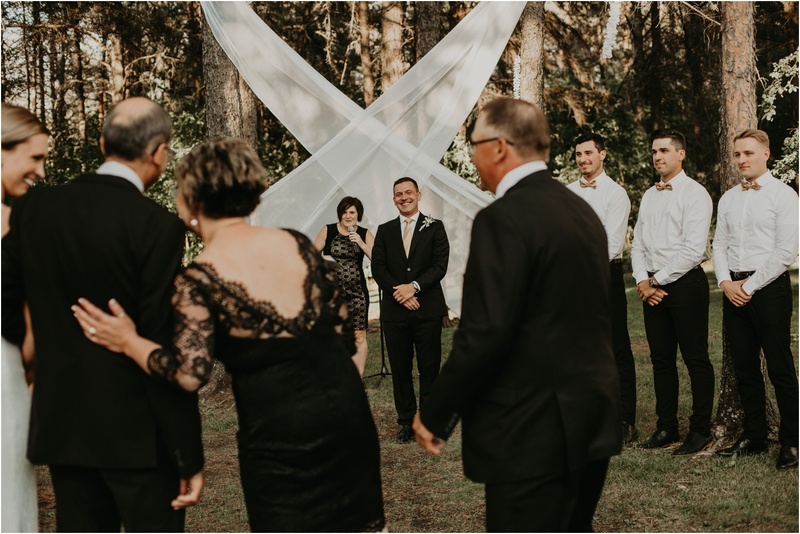 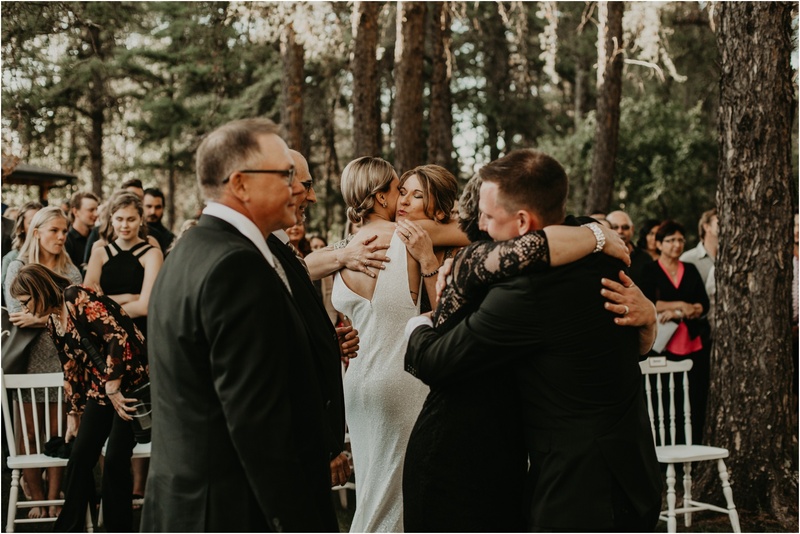 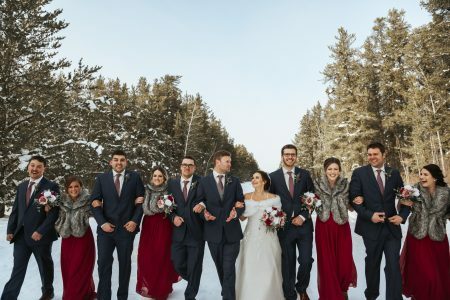 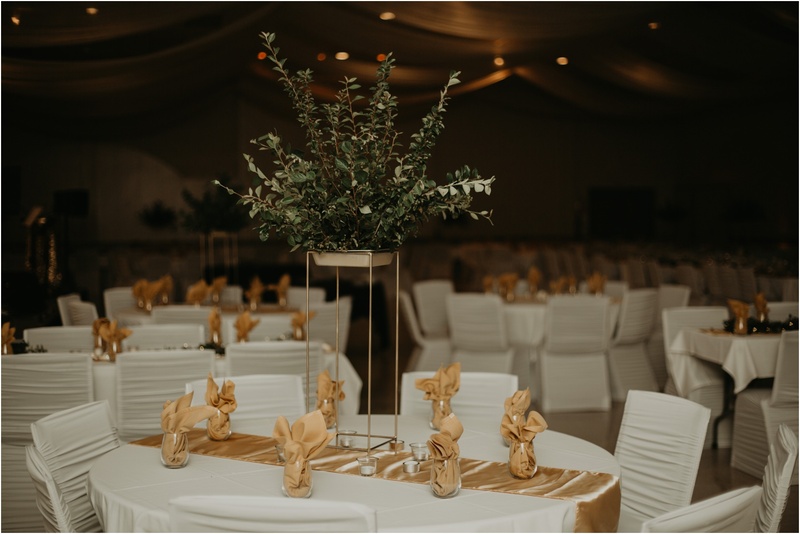 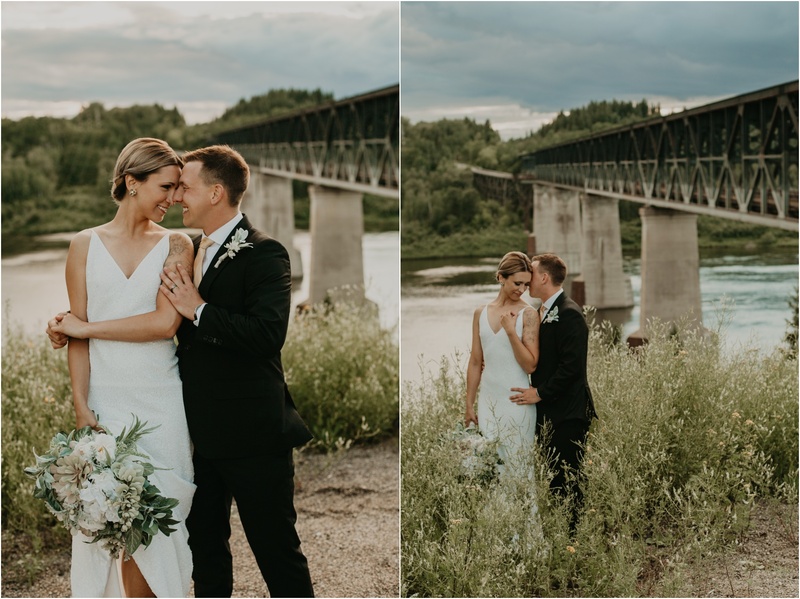 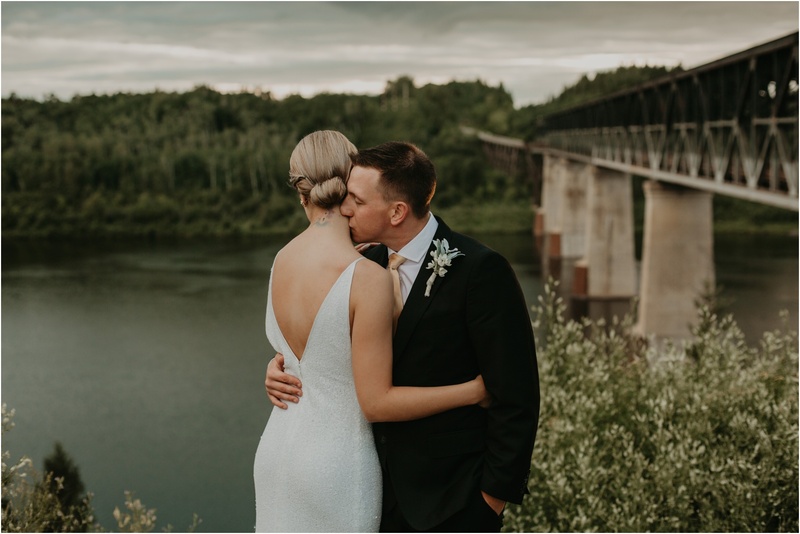 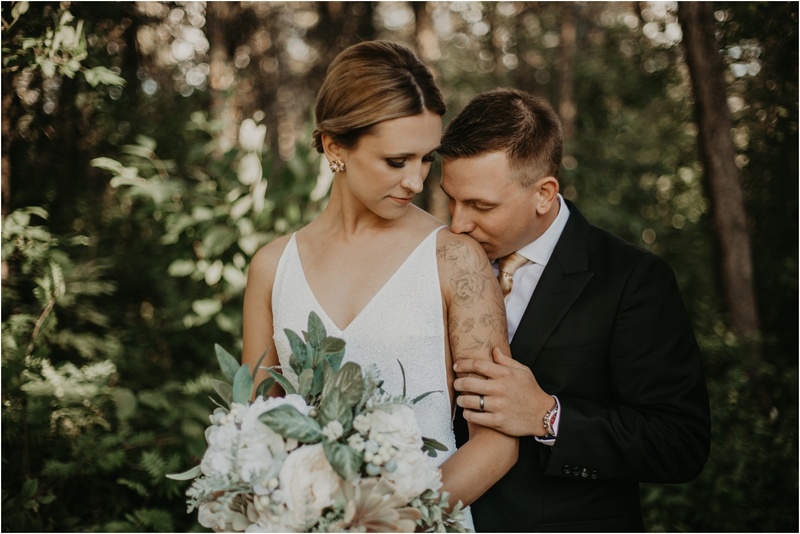 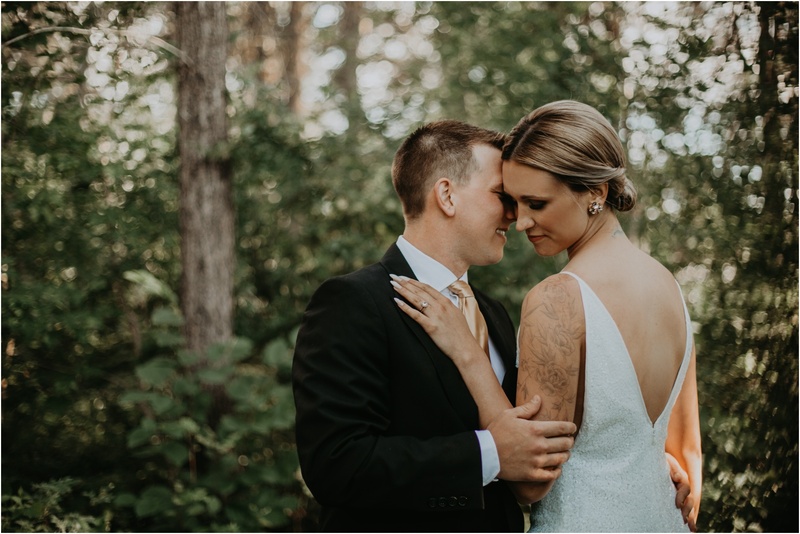 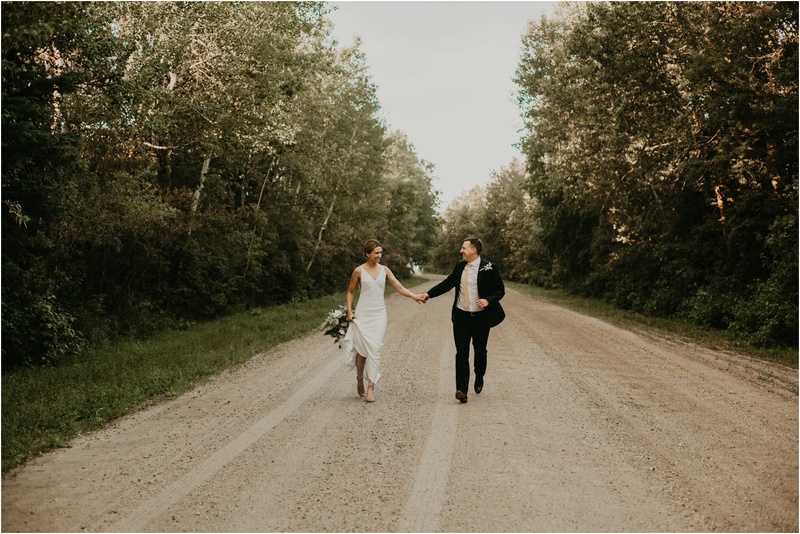 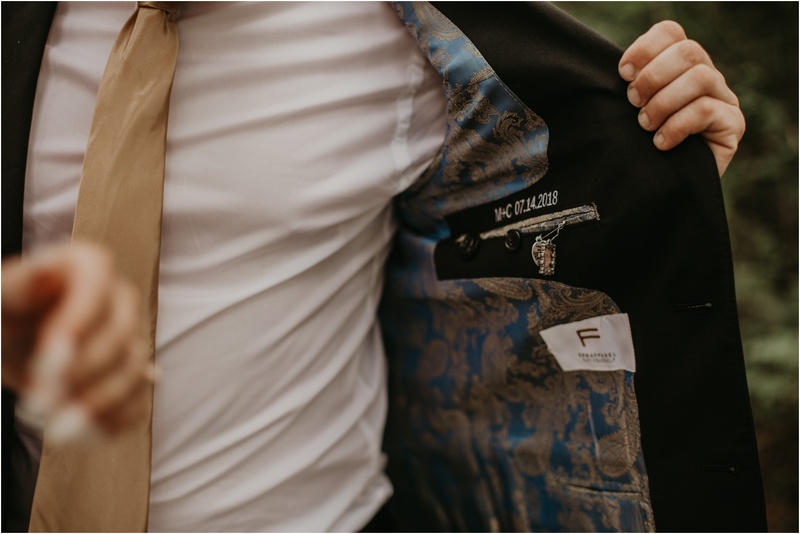 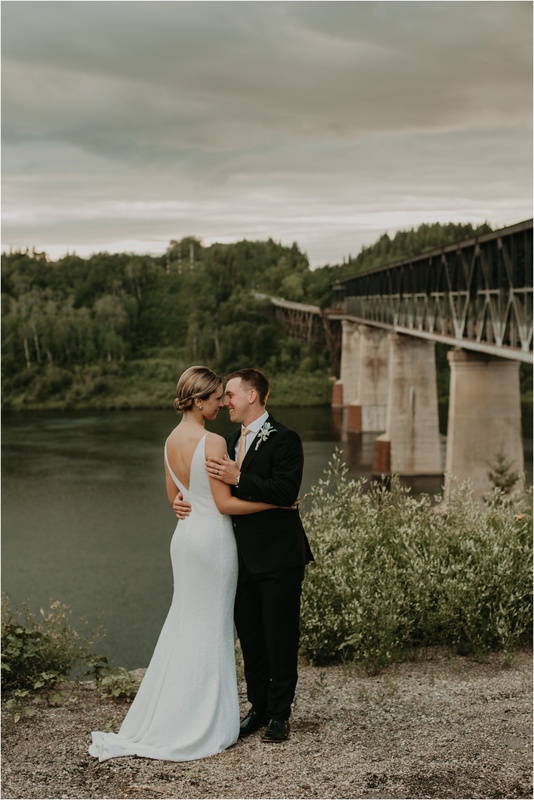 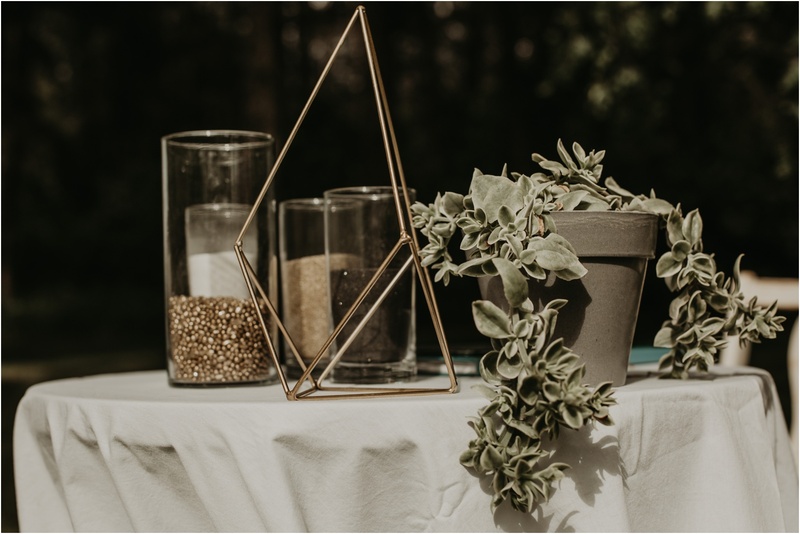 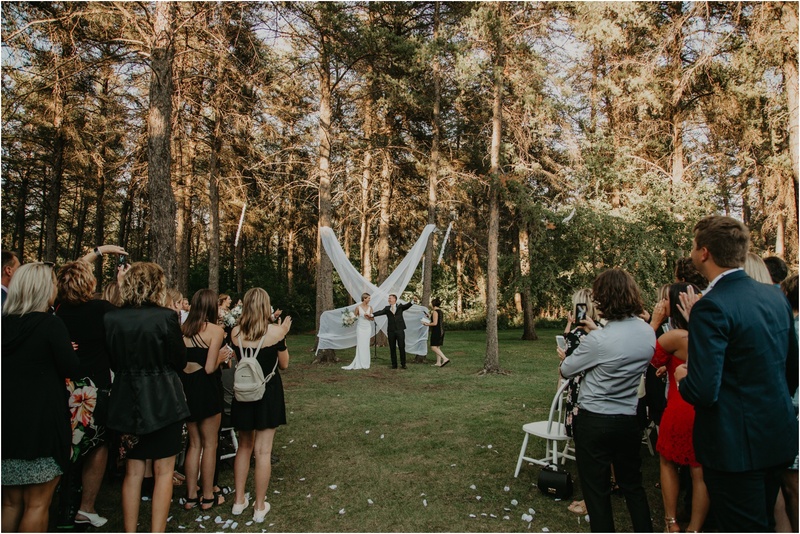 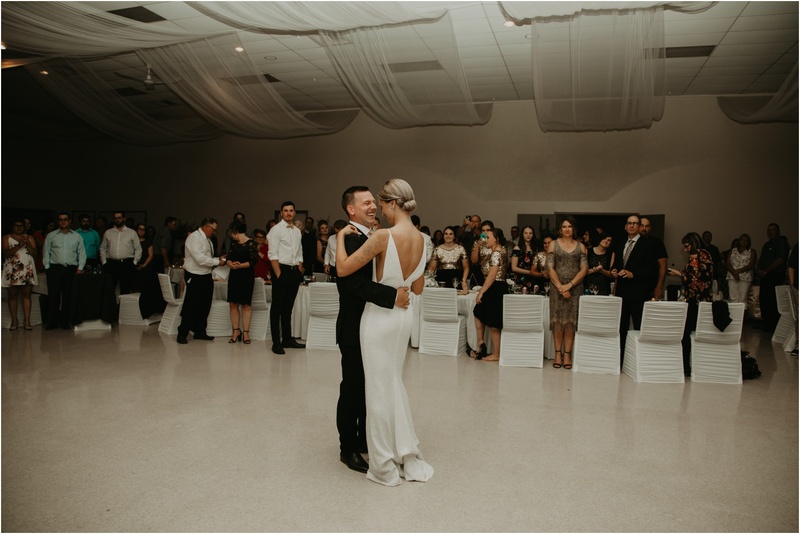 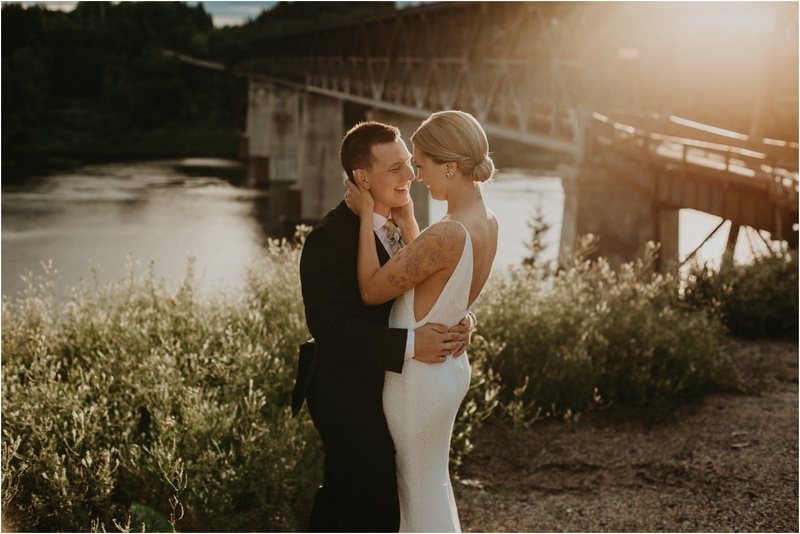 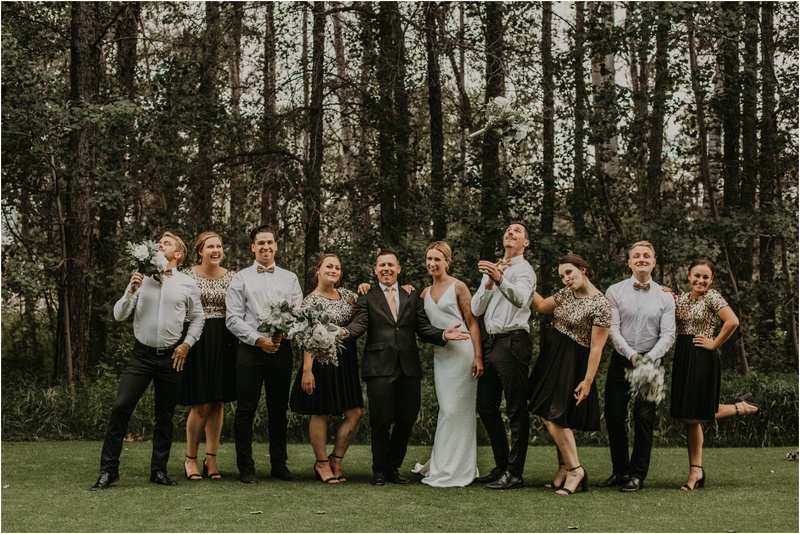 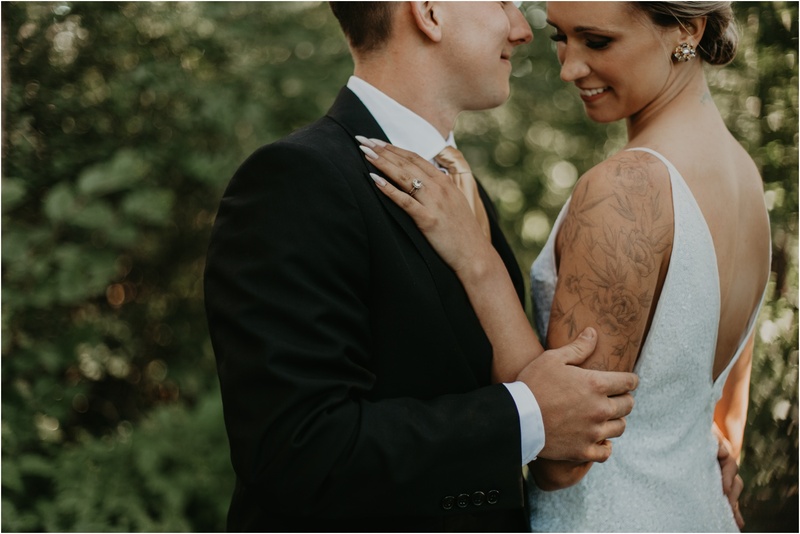 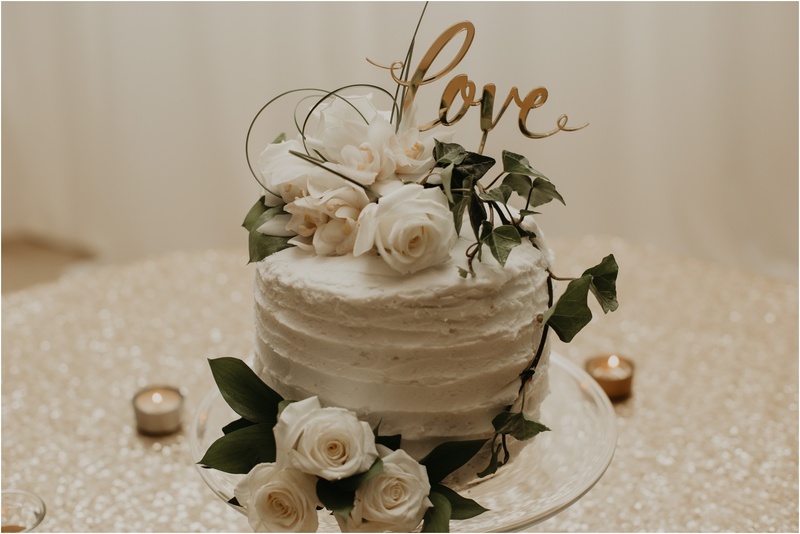 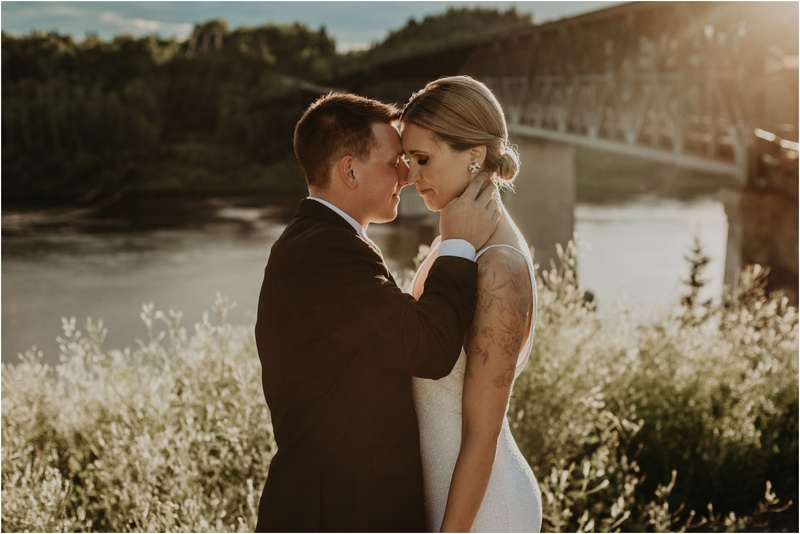 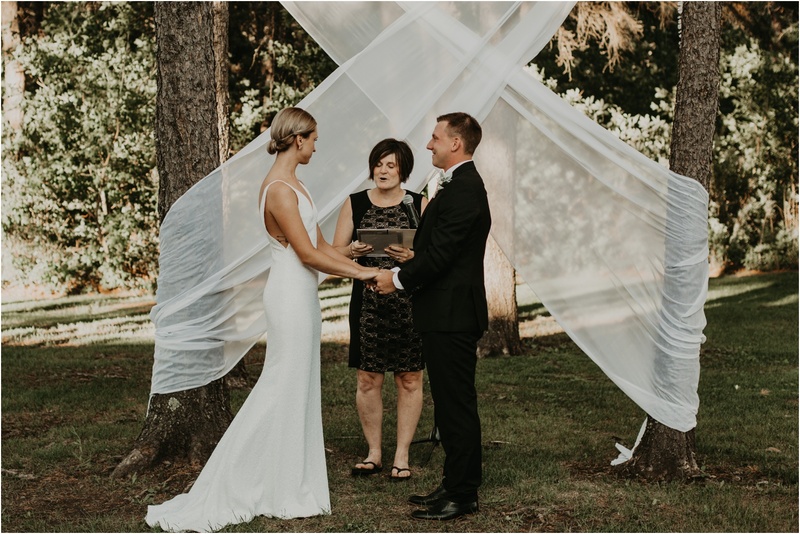 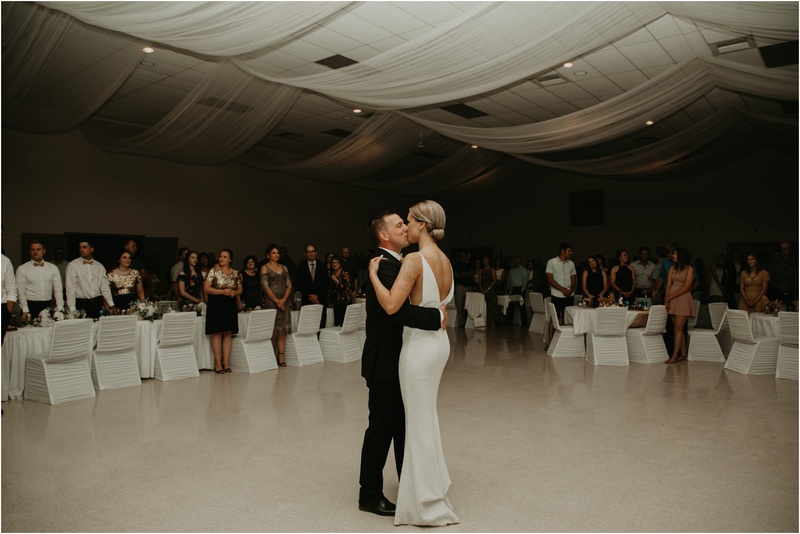 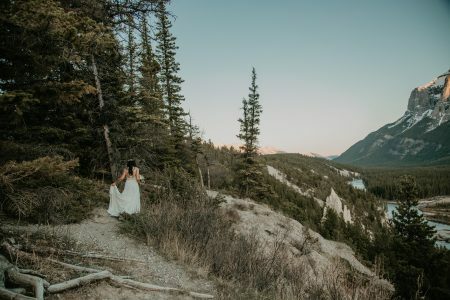 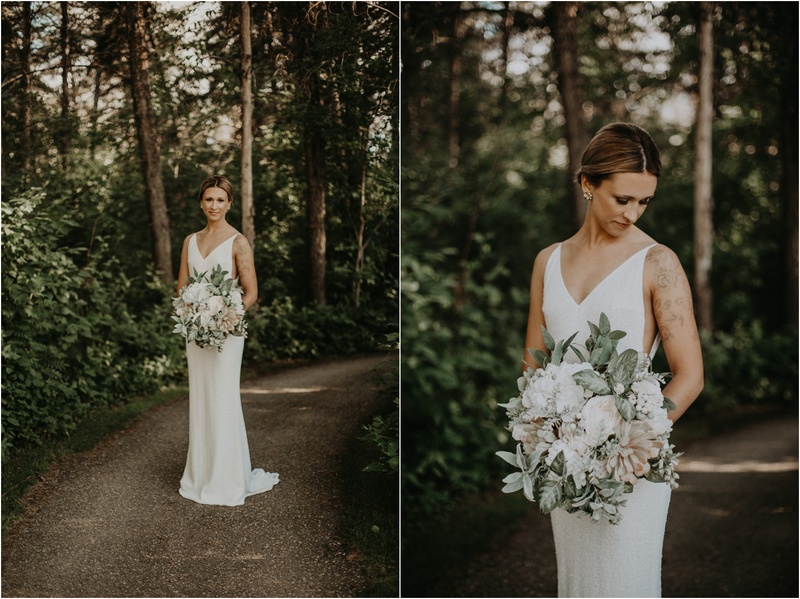 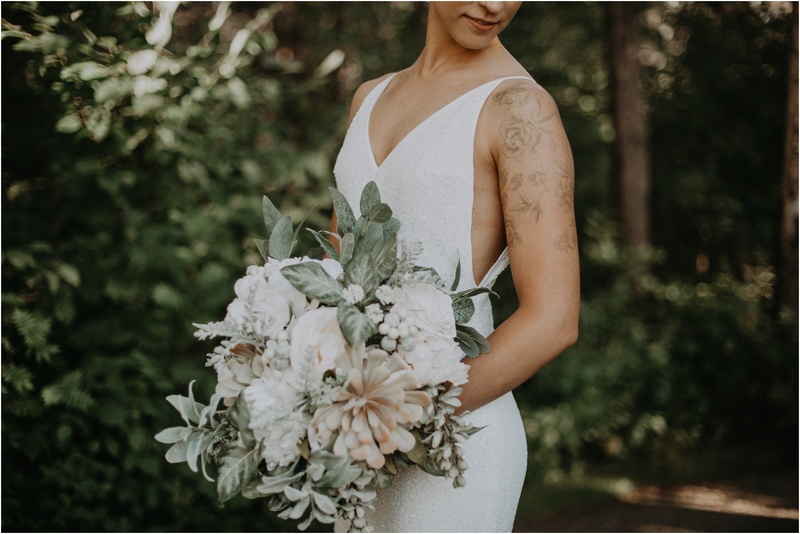 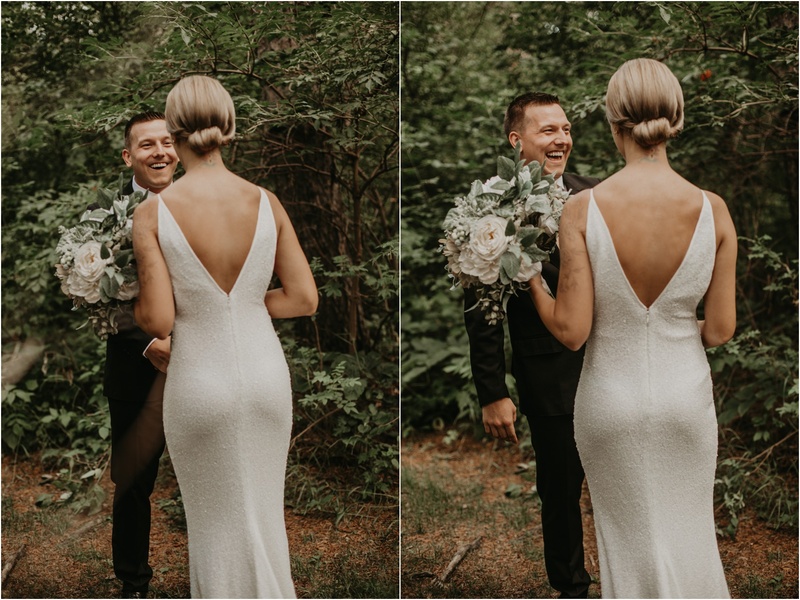 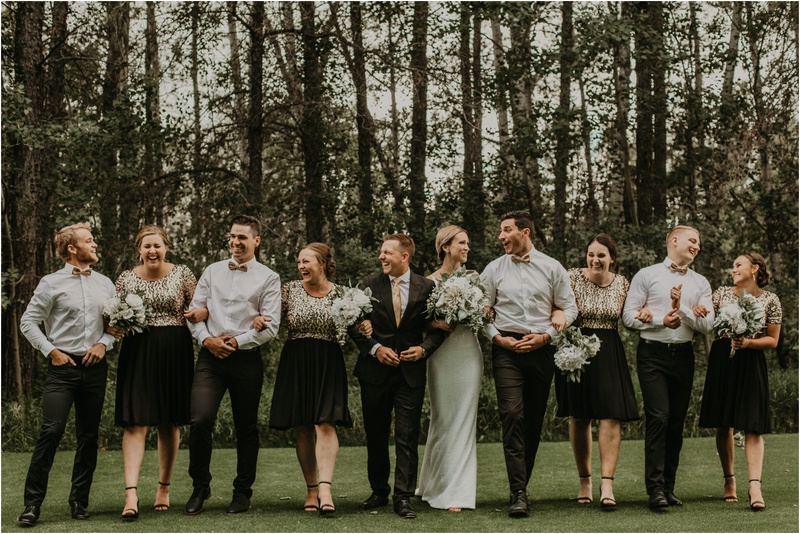 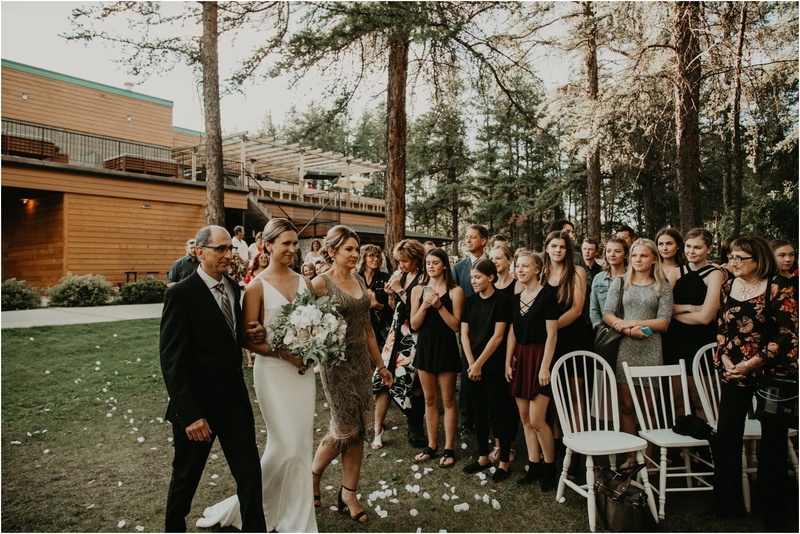 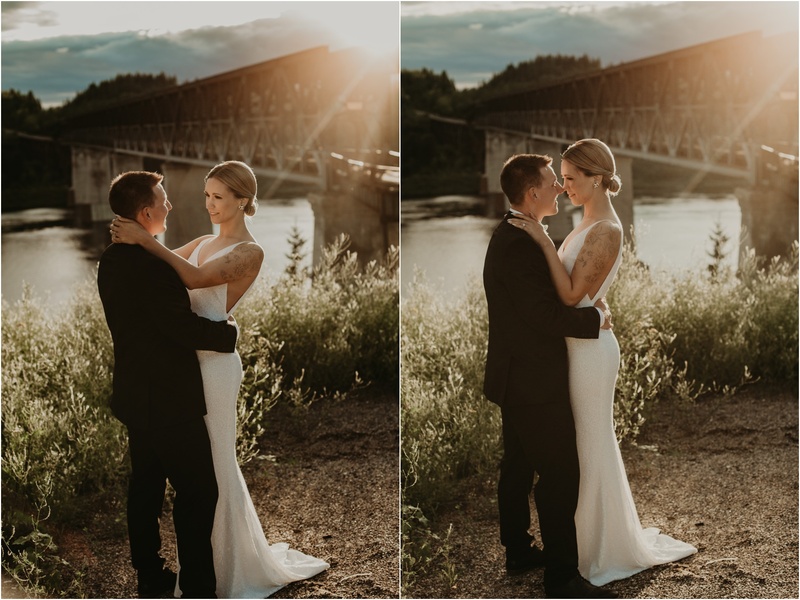 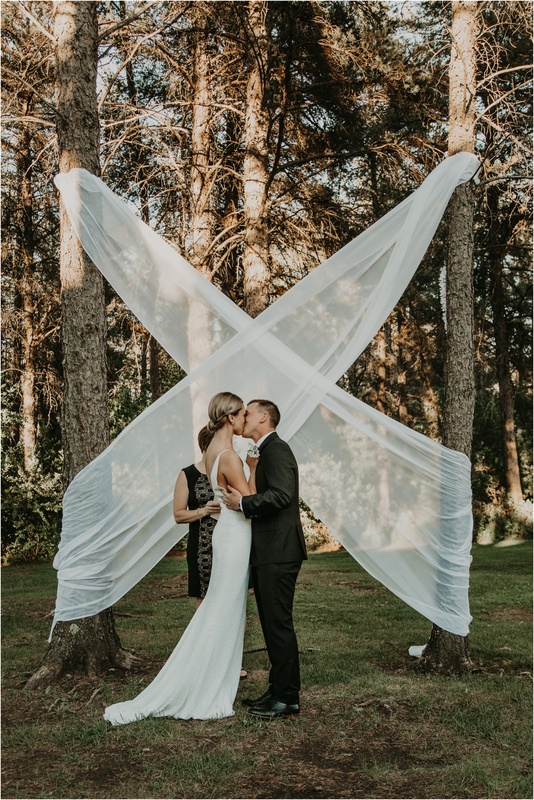 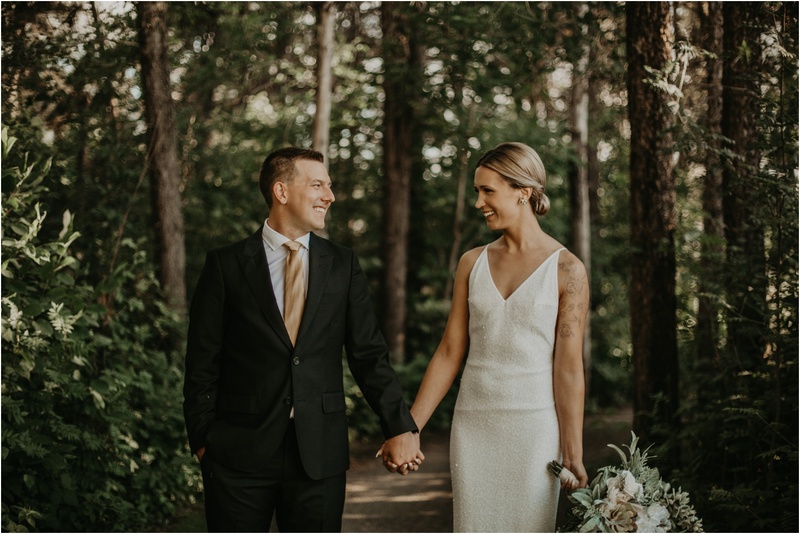 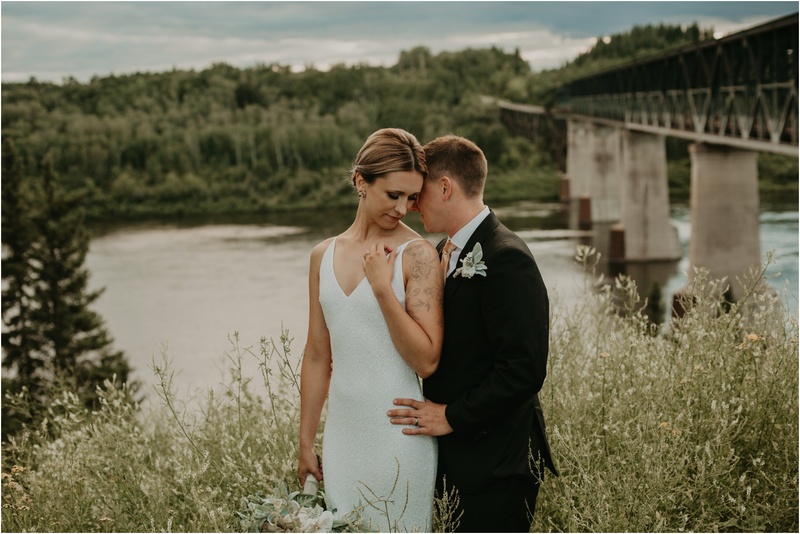 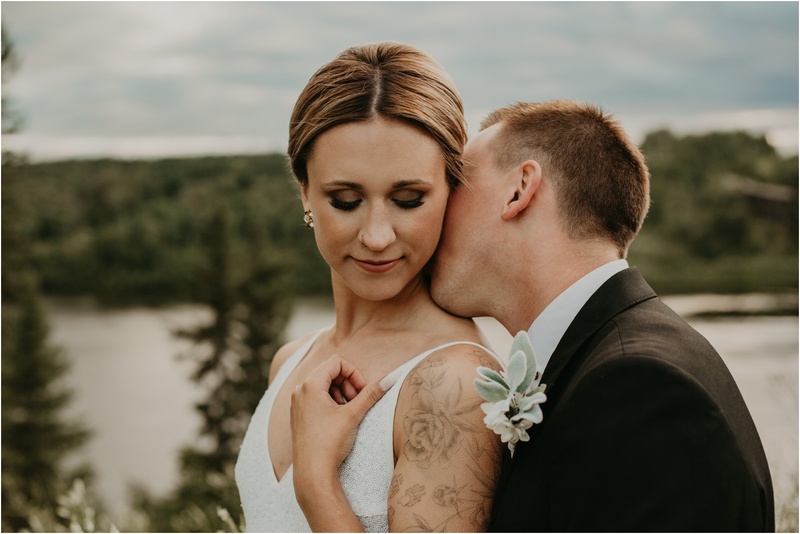 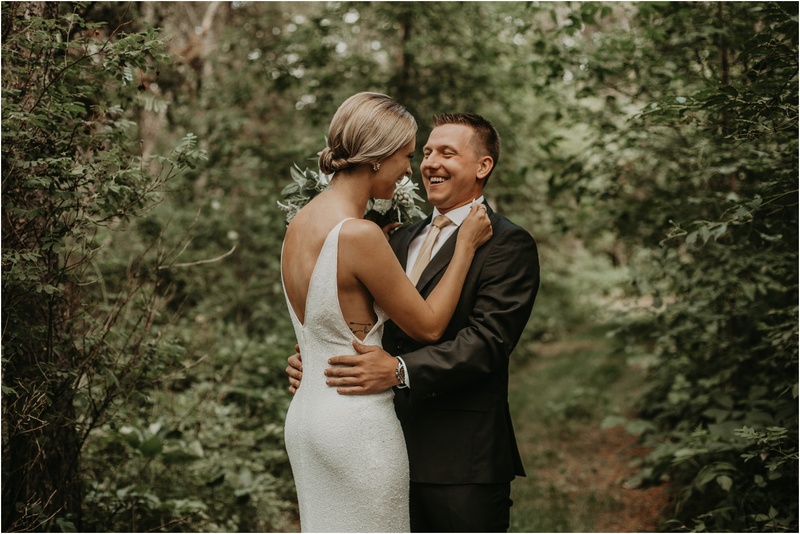 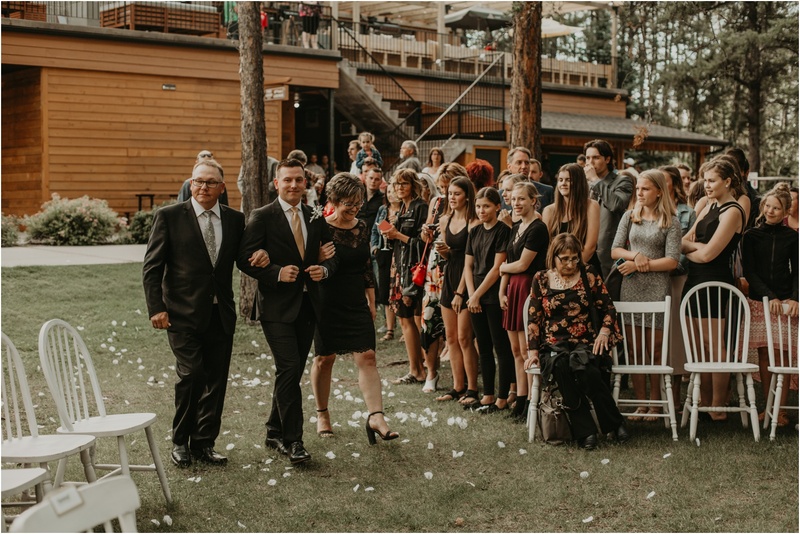 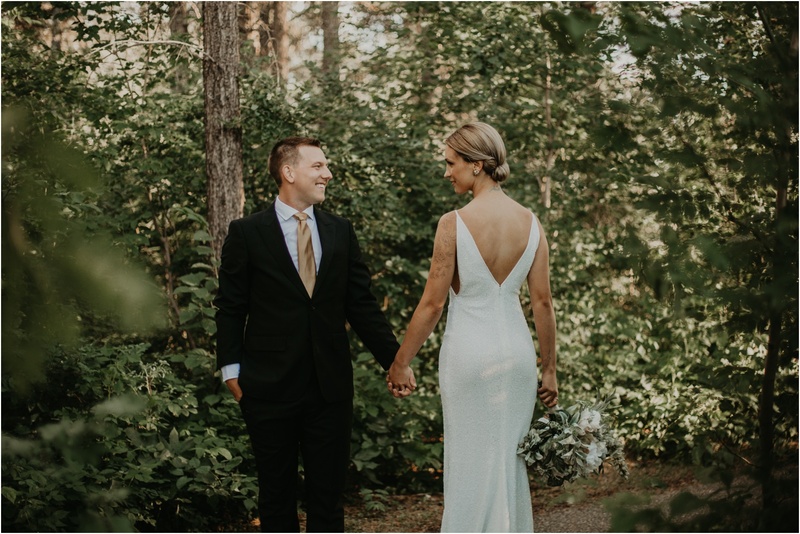 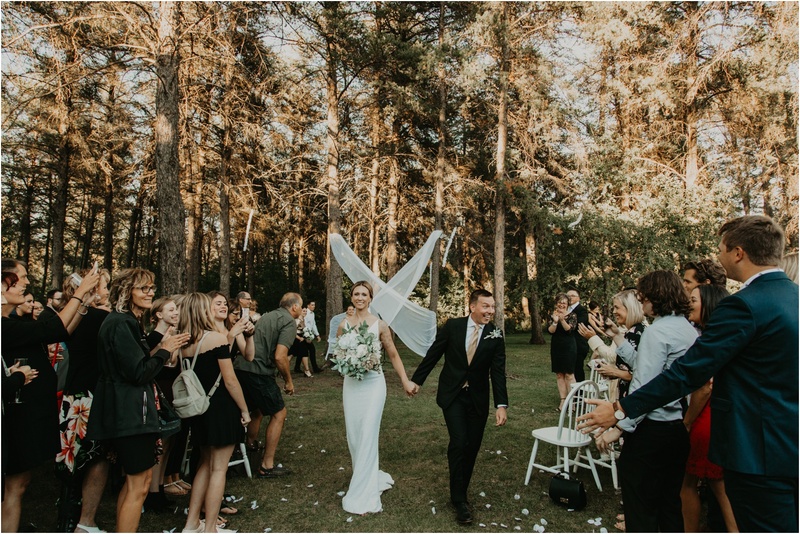 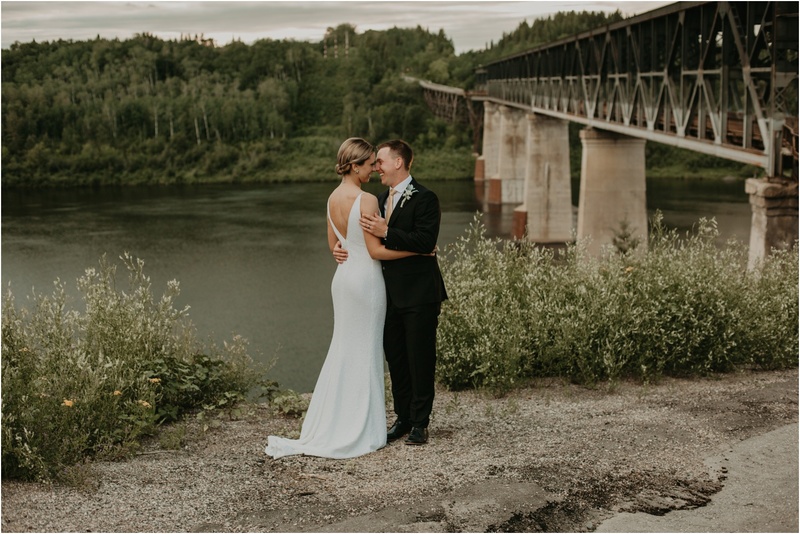 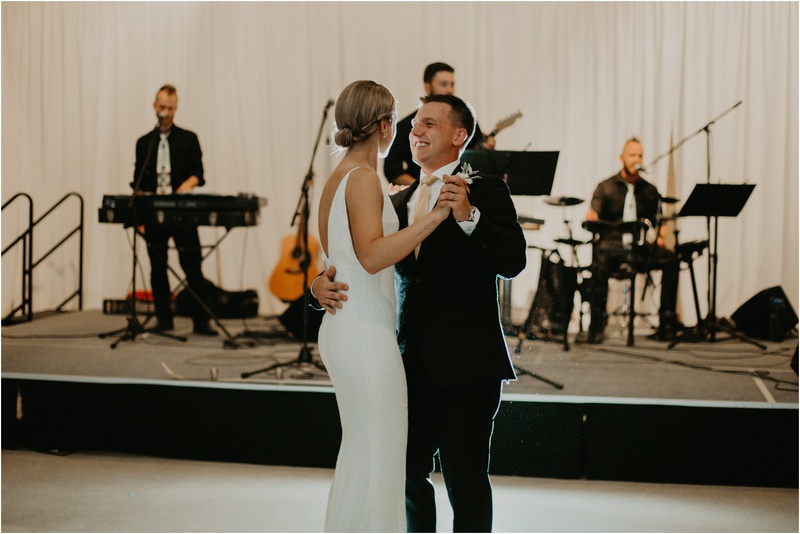 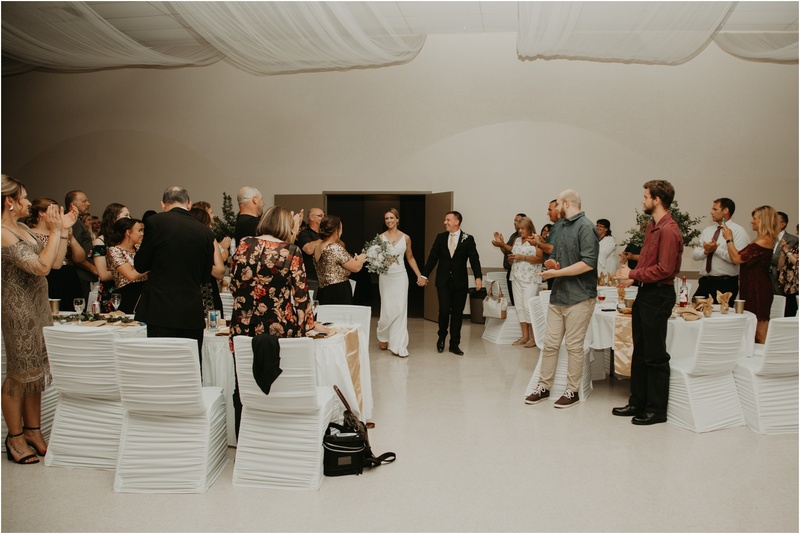 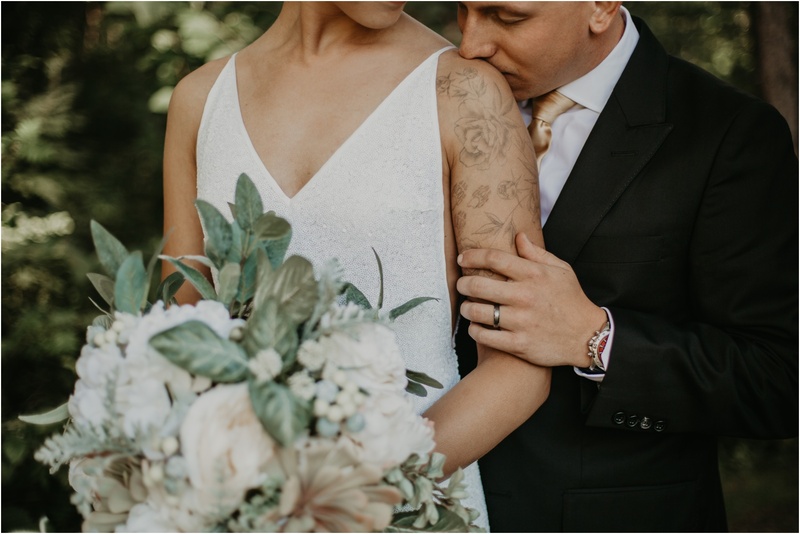 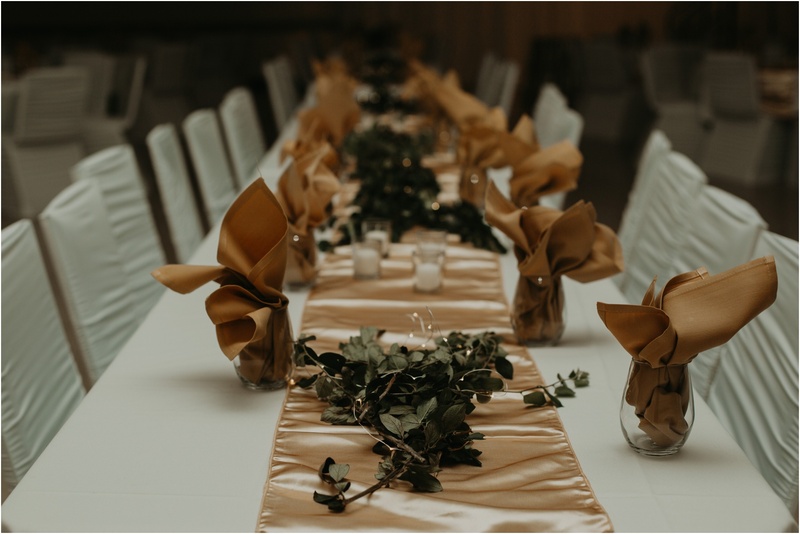 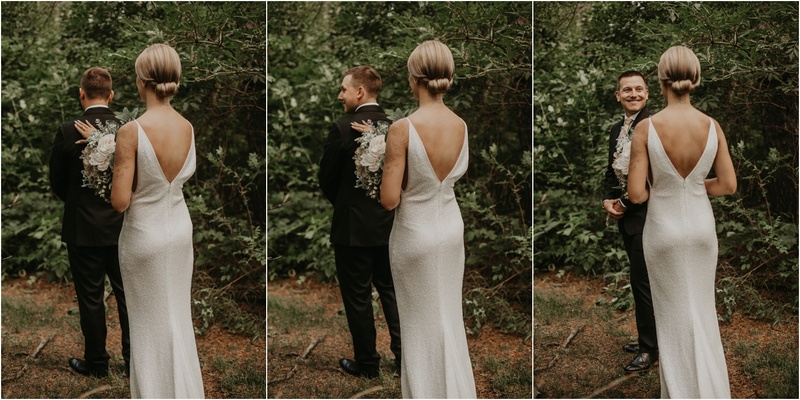 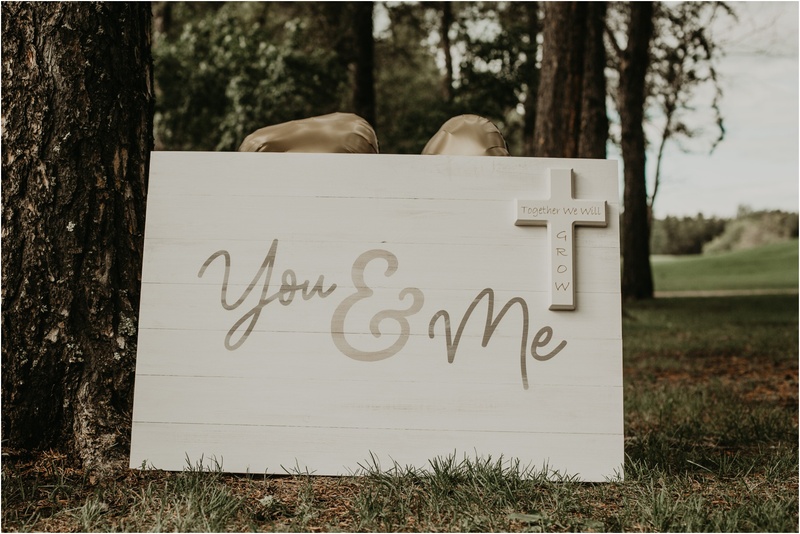 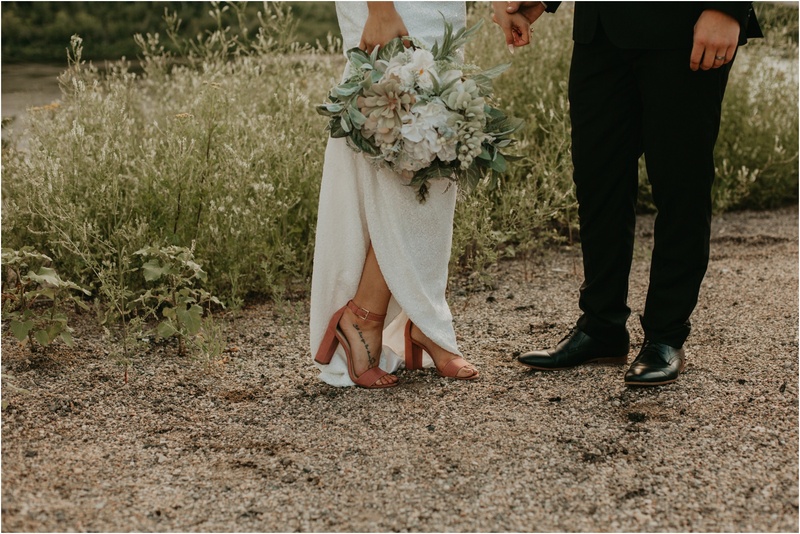 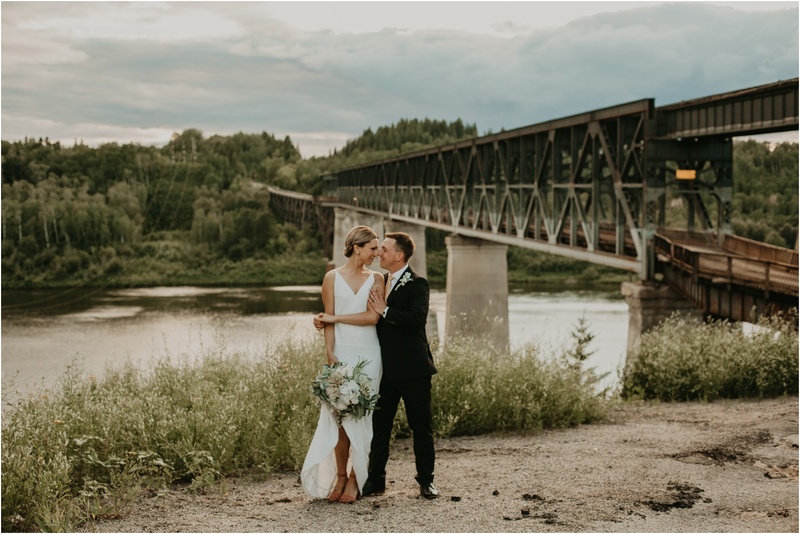 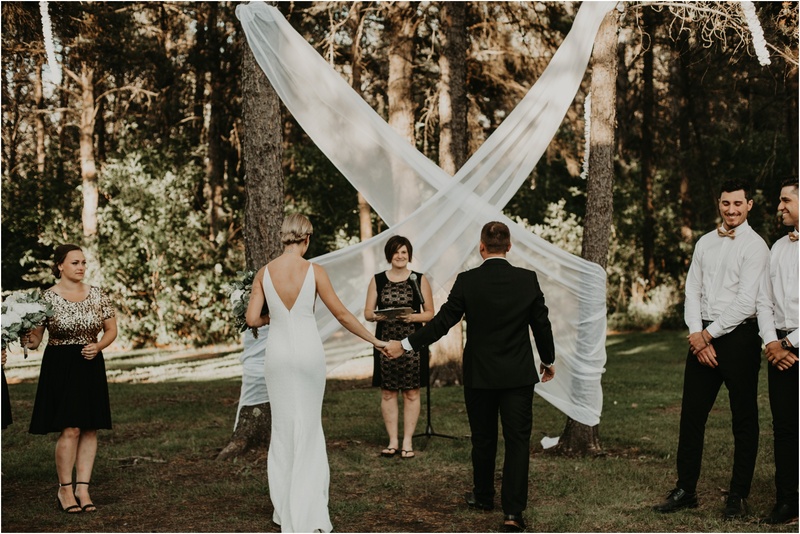 Meagan and Cole were married at the Nipawin Evergreen Centre on July 14, 2018. 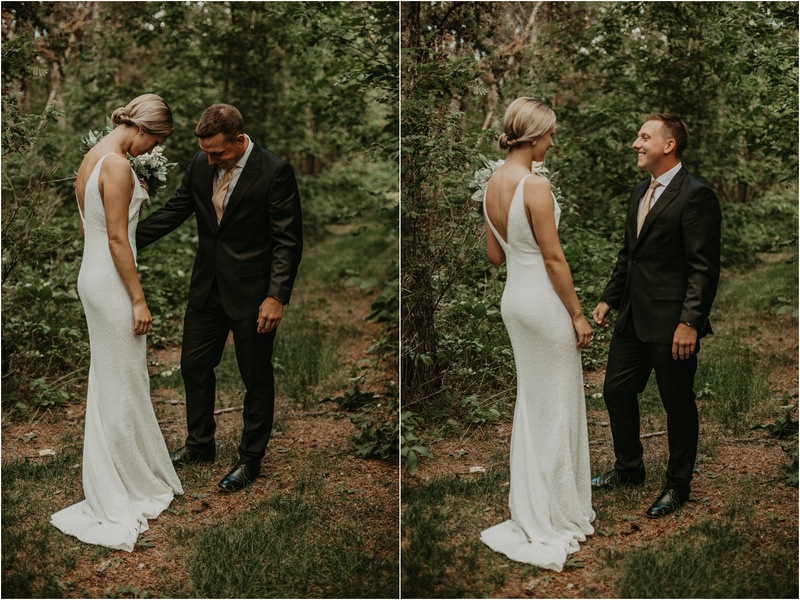 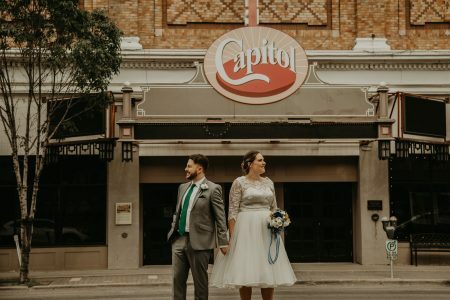 They started off their wedding day with a first look. 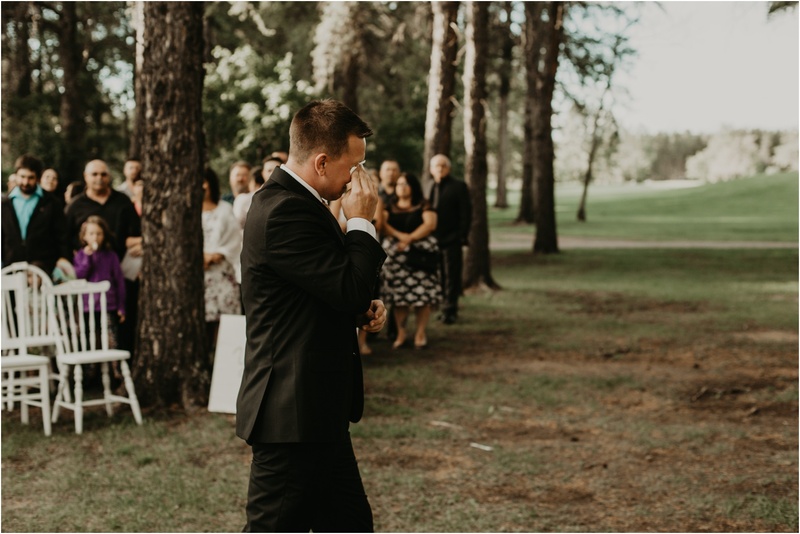 The emotions that were present during this moment were absolutely beautiful. 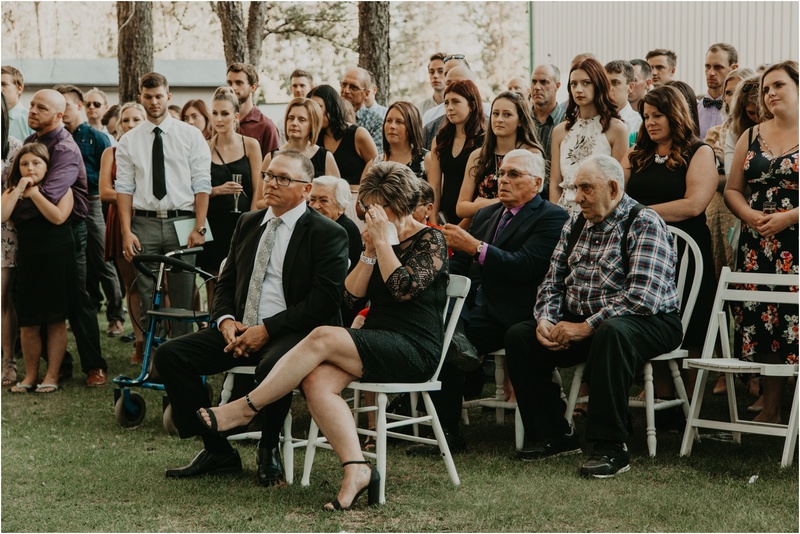 I am so blessed that I was the one that captured such precious raw emotions. 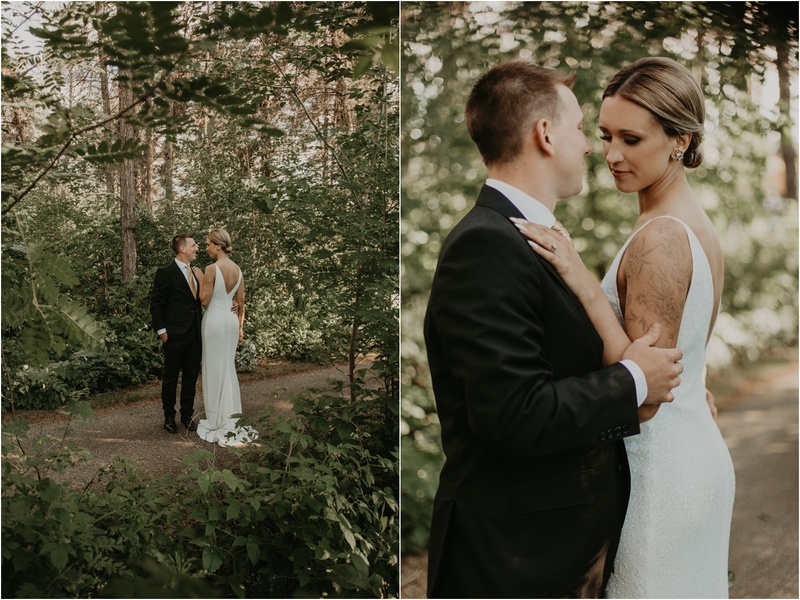 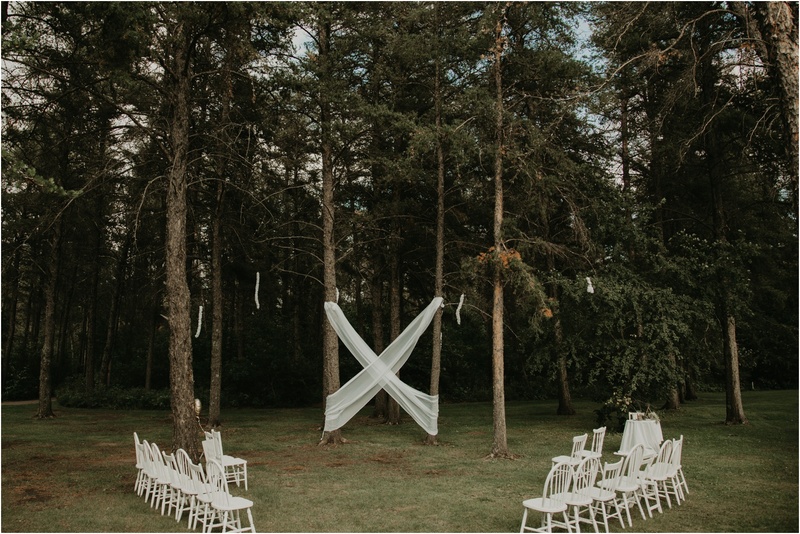 They had an evening ceremony surrounded by teary eyed guests and luscious evergreens. 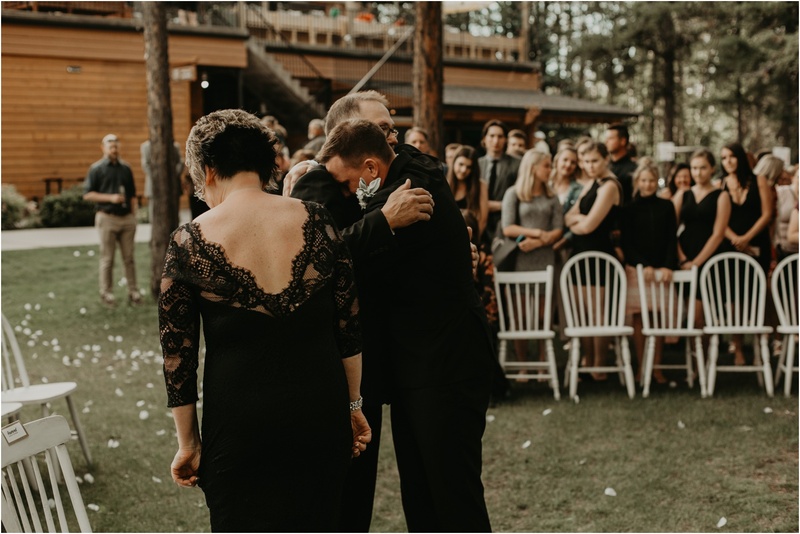 These two share such a strong connection, I’m not sure if any guests were able to keep a dry eye especially after Cole took his emotional walk down the aisle with his parents. 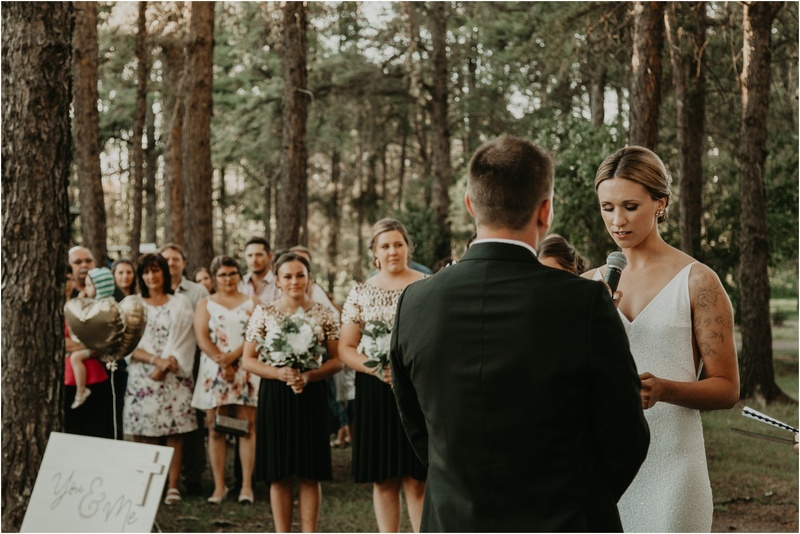 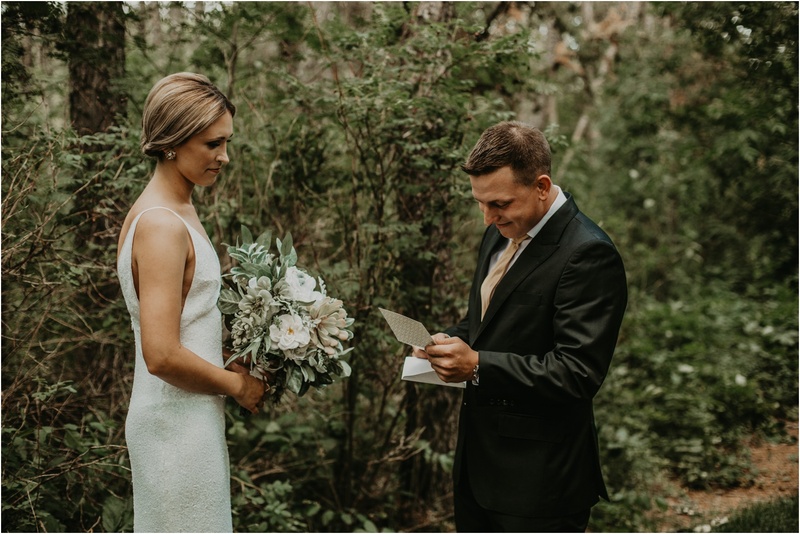 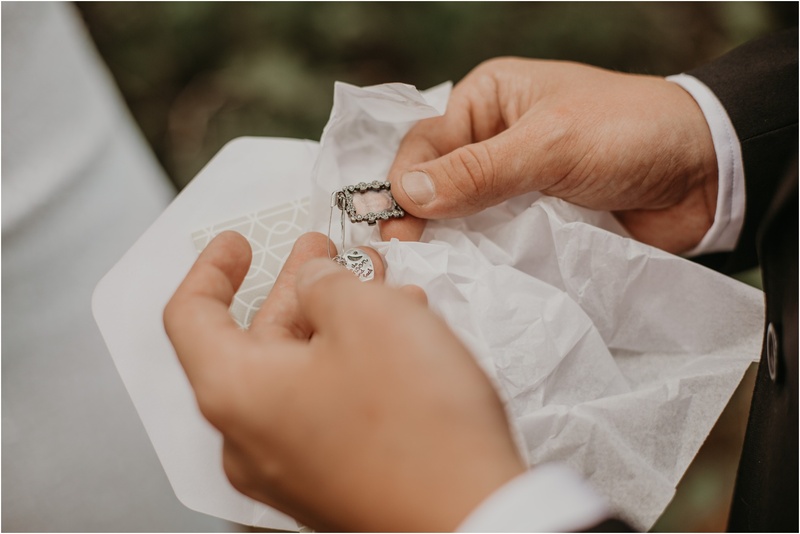 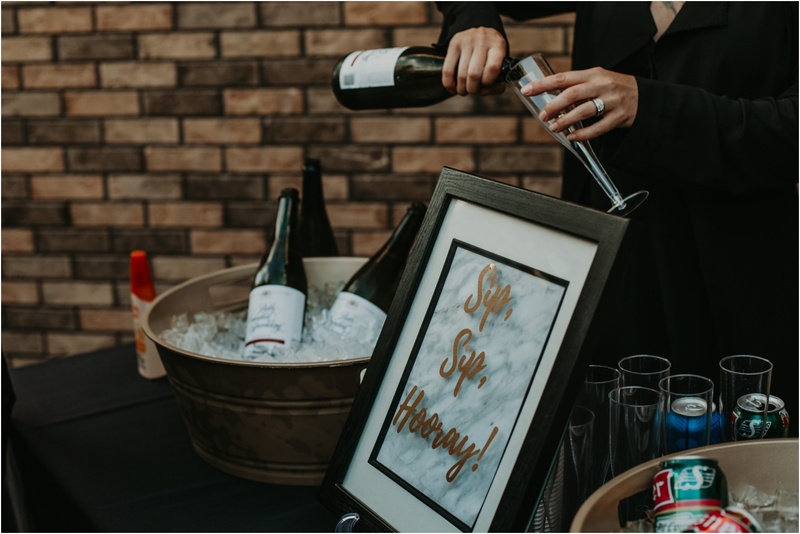 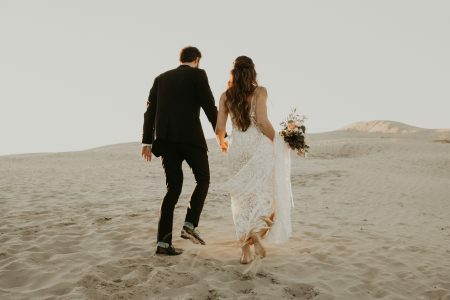 These two finished off their ceremony with handwritten vows that were both romantic and hilarious. 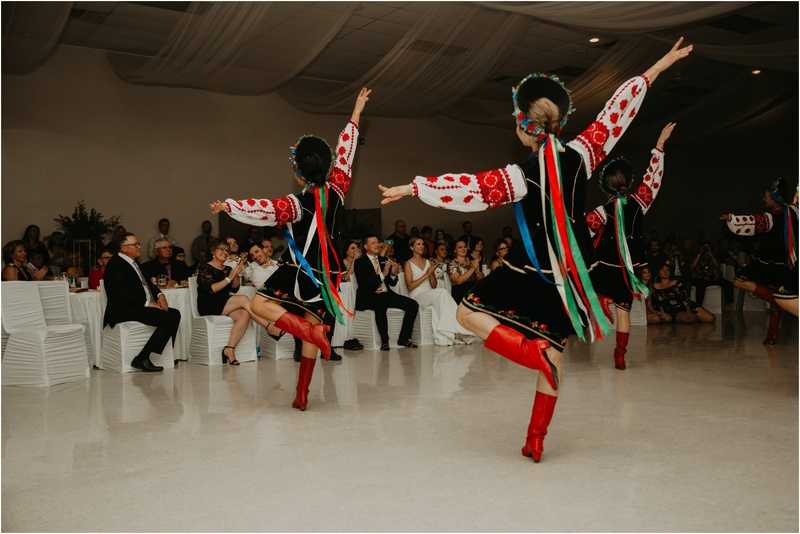 Like every Ukrainian wedding, their reception entailed a boisterous fun dance. 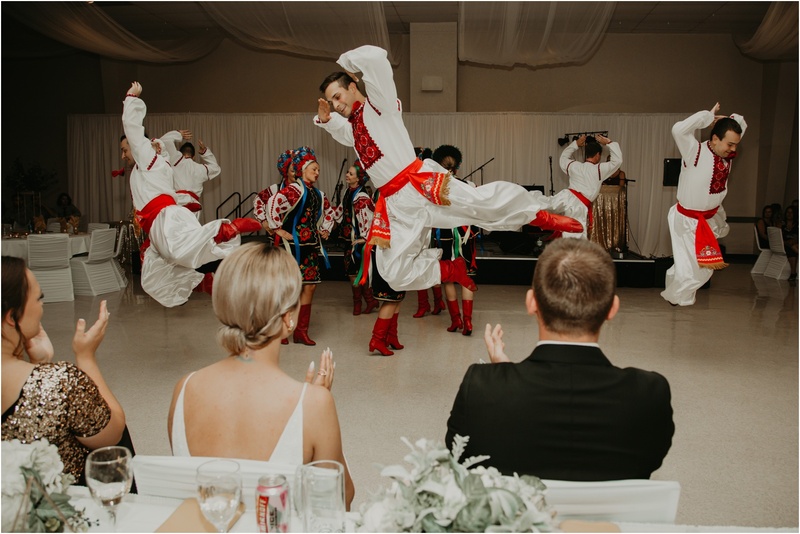 Cole used to dance with the Yevshan Ukrainian dancers, so they had the dance group make a special appearance to perform an energetic dance number. 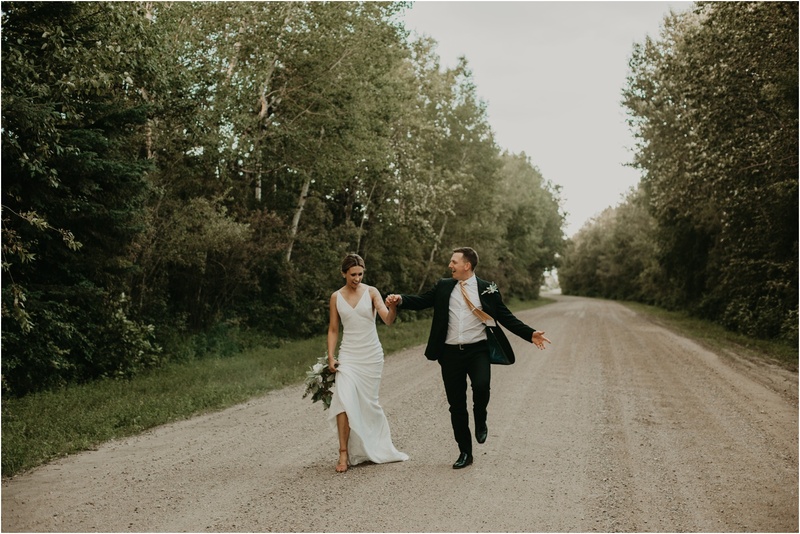 Meagan and Cole own Bravo Dance Co. in Martensville, so they also had a special choreographed number from the students at their studio. 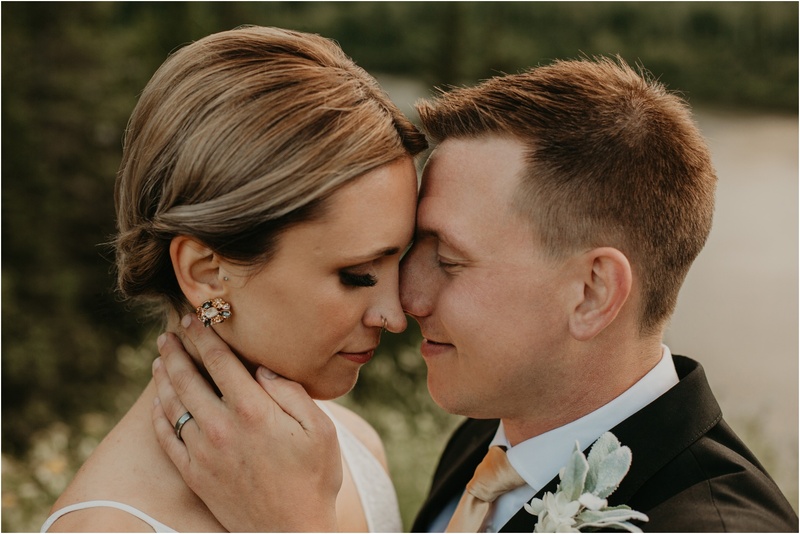 Congratulations Mr. & Mrs. 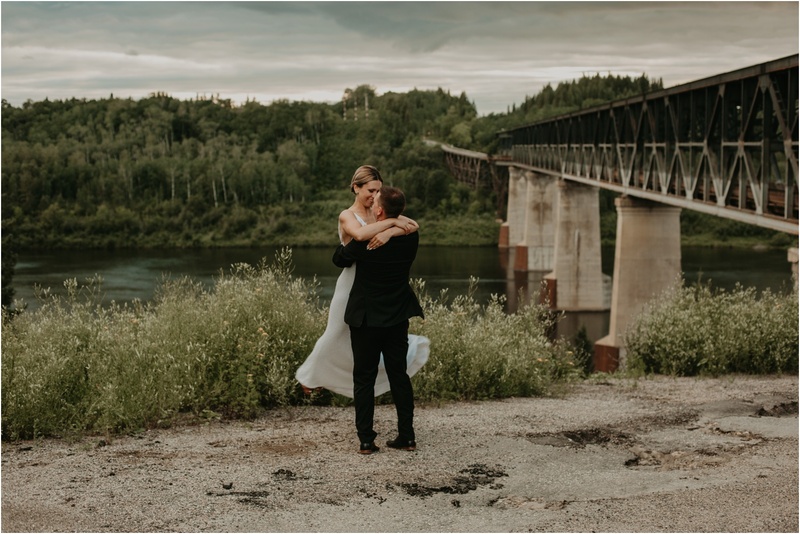 Chorney!! 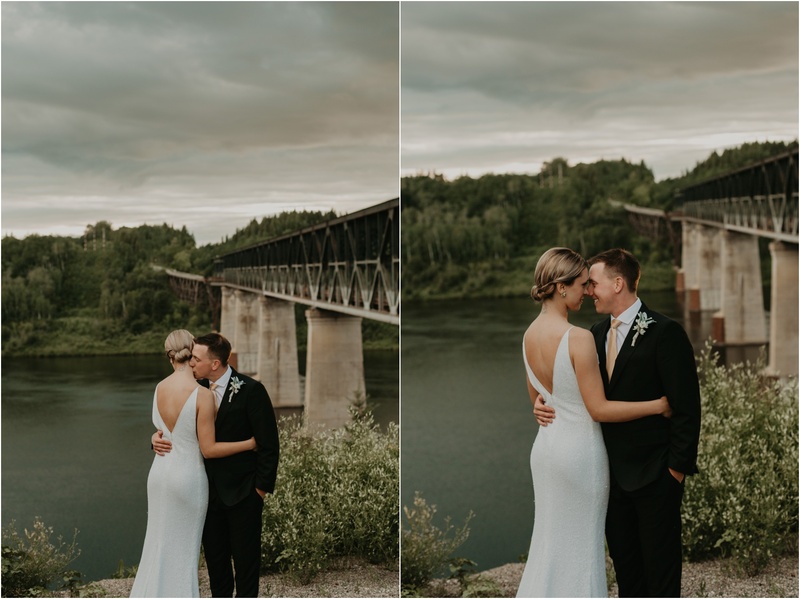 So happy for you guys as you start a new chapter in your lives.